Raised in the East Midlands of England, Lewis relocated to Australia in 2002, diving into a Business Management Degree at Griffith. 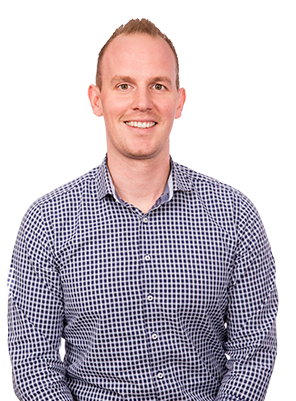 Joining QPF as a Finance Broker in 2012, Lewis was brought on board as QPF’s yellow goods finance specialist, and has grown within this industry since. Lewis became a Partner at QPF in 2016, and applies his extensive experience to the mining, transport and civil construction sectors – assessing scenarios, sourcing the most suitable equipment finance facilities and securing funds. Over the years Lewis has built strong business relationships with a large and diverse client base consisting of both end users and dealers, of which he’s committed to assisting their businesses to evolve. What has Lewis recently financed? Best broker out there! Very friendly and supportive service. Lewis Higgins is awesome, being a first time business with no company history, the support we received from Lewis Higgins was great. Starting a business from scratch can be daunting, especially when you need finance to make your vision a reality. Sick & tired of making everyone else rich, 3 years ago my husband & I wanted to capitalise on his experience & skills operating machinery and start our own earthmoving business. We tried various means (other brokers & directly through the banks) which all fell short. We were beginning to think it wasn’t going to happen until we were recommended to Lewis Higgins of QPF Finance. Within 48hours our finance was approved & we were on our way to making a better future for our family. We owe our success thus far to Lewis as the reality is without his industry knowledge, business connections & relationships, hard work & faith in our business plan we would never have been given a start. He helped make all this happen for us and we continue to utilise his skills & experience to grow our business. We highly recommend Lewis & QPF Finance. We put our trust in you and you most definitely came through for us & continue to do so. Thank you for treating us as people rather than just business finance customers. Your professionalism & attention to detail is second to none. We sincerely value our ongoing relationship as our business continues to grow. Always good service and no problem approach. I have worked with other finance brokers and these guys are the best. This is the 3rd truck we have purchased through QPF, dealing with Lewis. Highly recommended! Process is streamlined and hassle free with a fast turnaround. Always a pleasure to do business with QPF. We could not be happier with the service provided by Lewis. Lewis and the Team at QPF have made our Equipment Finance purchasing as simple and efficient as possible. With the finance always taken care of, the hardest thing about buying Gear is choosing the right piece gear for the job. Thanks QPF!